You asked, and she said yes! Now it’s time to figure out what to wear to winter ball. You know the dress code is formal, but how does a winter ball compare to prom? For starters, it’s a cool-weather event, and your formalwear should reflect it. Bring on the thick, cozy fabrics, seasonal colors, and winter accessories. When browsing styles, consider heavier fabrics that will keep you warm during travel to and from the party and the dozens of outdoor pictures. We love tweeds, wool, and velvet for a special winter event. Avoid sheer linens and silks. 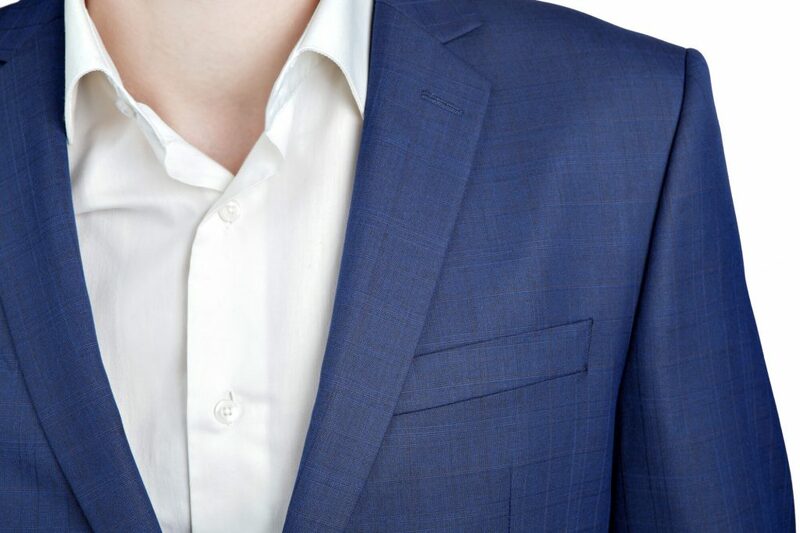 When choosing a thicker fabric, it’s best to go with a tailored suit that fits just right. A slim fit-style works on all body shapes because it ensures there’s no extra wrinkling or draping that may be unflattering. Go beyond the classic black prom look for winter ball. This season, try a fashion-forward color like steel gray, gray plaid, or navy blue. These darker tones fit perfectly with the season, but also make you stand out. Coordinate your look with your date’s by choosing a tie or pocket square in the hue of her dress. Then, match your boutonniere with her corsage by using the same flower choices, wintry embellishments (like snowflake charms), and ribbons highlighting both your suit color and her dress. Let’s talk about your dress shirt for a moment. This part is essential but often becomes an off-hand, secondary decision. You don’t have to wear a classic white shirt. Unless the invitation states black tie formal, you can vary your color palette. Add personality by selecting a shirt in the same color family as your date’s dress. For example, if she’s wearing cranberry, you can wear plum. Is her dress black? You’d look sharp in silver. Play with your look as a couple to create picture perfect memories of your time at the winter ball together! When dressing for a winter event, layer the look. A draping overcoat and polished loafers or ankle boots complete the seasonal style. If you like a bit of whimsy, a walking cane and top hat will give you an old-fashioned charm that makes heads turn. Winter is also the time to flaunt bold tie pins and sturdy cufflinks. Do you need help putting together a look? 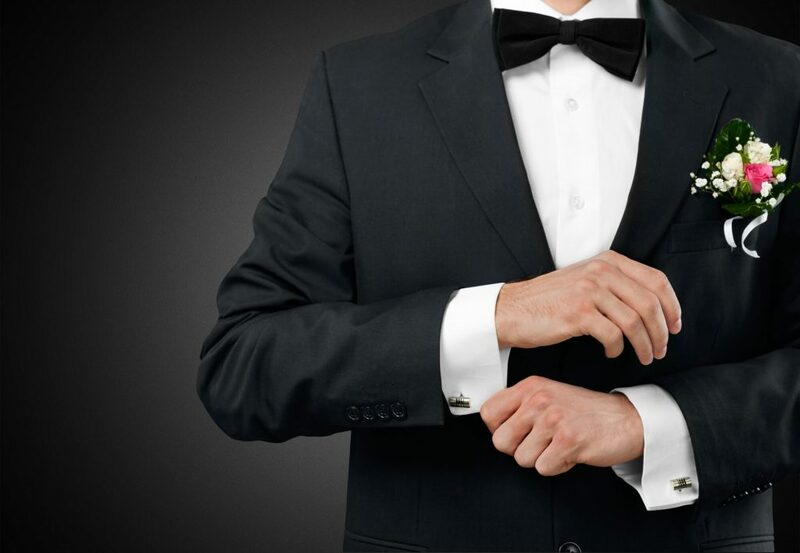 Browse Jim’s Formal Wear to spark a few polished, festive ideas for your winter ball.